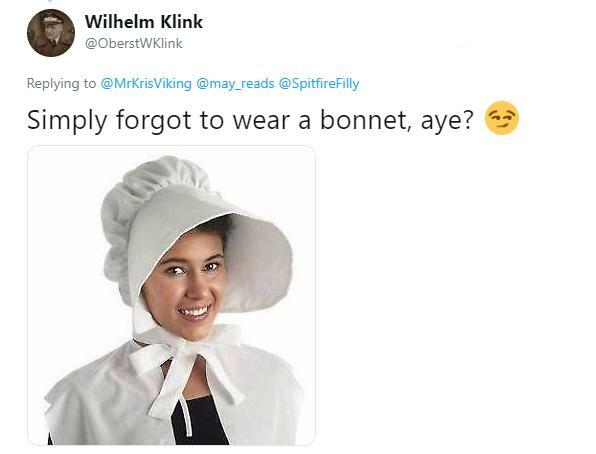 People trying to police women's bodies in terms of how they look, what they wear, and pretty everything they do aren't new, sadly. One would think that because we're in the two-thousand-and-nineteenth year of our lord, that a lot of that would change. Unfortunately, this law student learned that just isn't the case. Marny was training at a gym in Constance, South Germany wearing a crop top and some yoga pants. A pretty standard — and quite modest — get-up for anyone engaging in athletic activities. 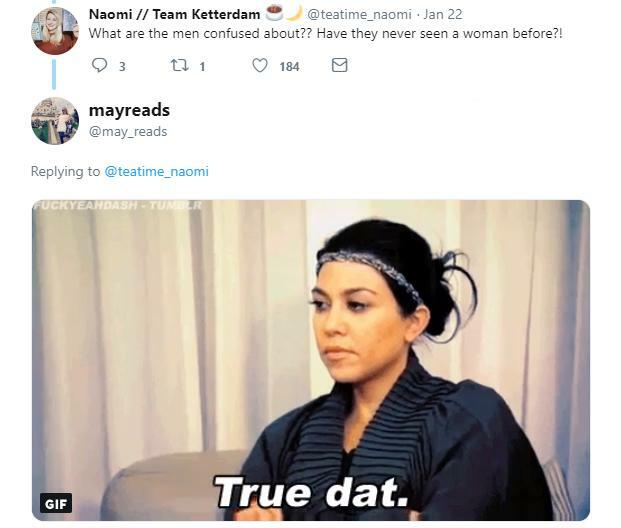 So it probably came as a shock to her when a female trainer at the gym approached and said she "couldn't train like this." To make matters even worse, Marny was told she was "confusing" male members of the gym with what she was wearing... as if that was her problem. As a guy, I can say I've seen some attractive women in the gym, yet I've never found myself so "confused" that I just couldn't bring myself to lift weights. Have I had some self-loathing because I'm not in as good a shape as I want to be? Absolutely. But befuddlement? Never. Marny uploaded a photo of what she was wearing to Twitter to see what other people thought of her outfit. I don't know about you, but even if we were arguing for her outfit on the basis of "decency," what she's wearing is perfectly acceptable attire. People immediately wanted to know the name of the gym to shame the heck out of them online, but Marny said she didn't want to mess up their reputation because they're a small business and she's been a member for two years, which is super nice of her. 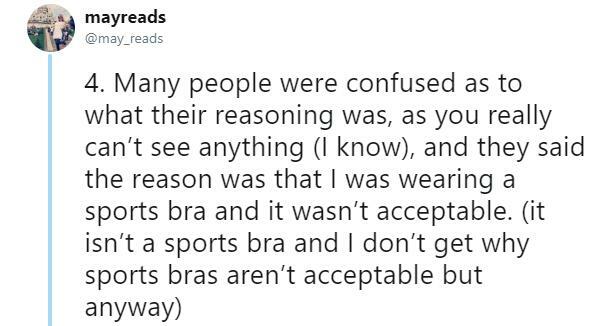 The trainer at the gym alleged that she was wearing a "sports bra," and that members weren't to train in them without a shirt over the top. What's more is the gym's rules state that men aren't allowed to work out in tank tops, yet she recalls seeing tons of dudes pumping iron while wearing tanks. The difference? She's never once seen them approached by an employee and shaming them for their choice of athletic wear. 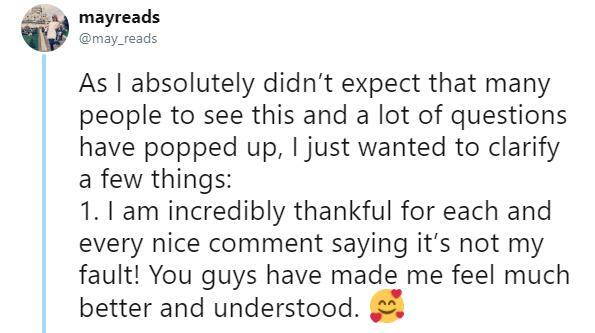 Marny's tweet went viral and people understandably were up in arms and began bombarding her with questions, so she provided a bit of backstory and started answering them in a series of follow up tweets. 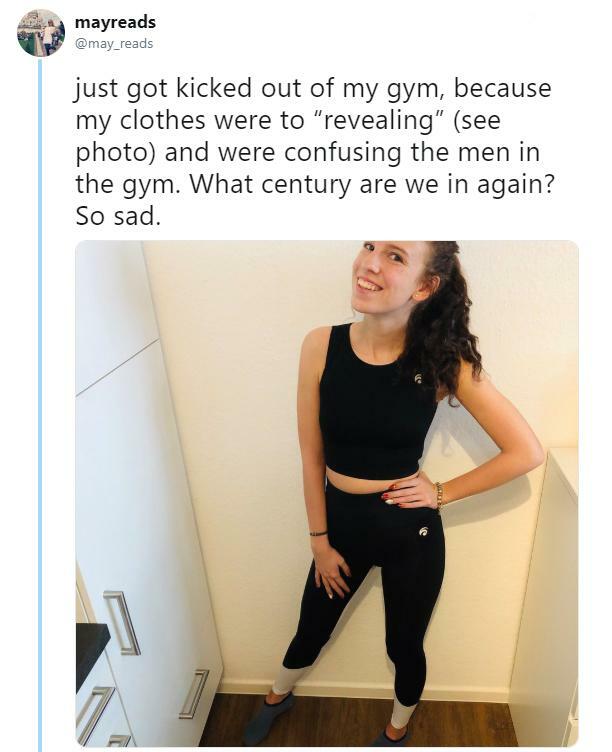 She said the primary purpose of her tweet wasn't to shame the gym but to inform people that yes, women in this day and age are still told, even by other women, that their clothing isn't "modest enough." 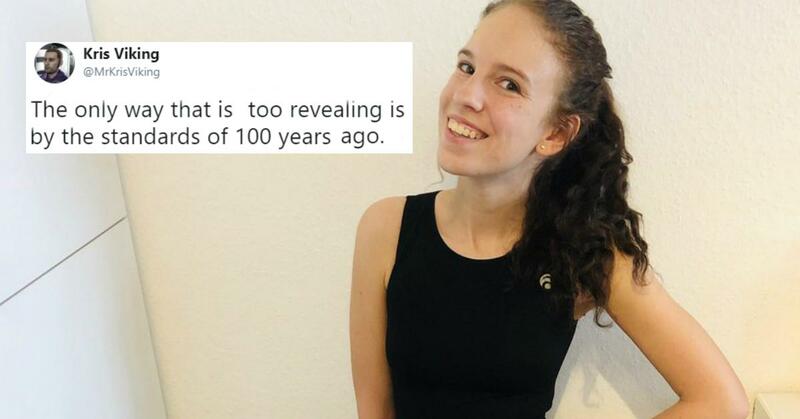 The general sentiment from those responding to her tweet was that the only people who would be "confused" about Marny's outfit were time travelers from the past or people who have never seen a woman in person before. Personally, I grew up in a pretty religious family and community. I attended a private Islamic school for six years where female students wore plain, navy blue jilbabs and headscarves, and even I was never "confused" after seeing a woman walking around in yoga pants at the gym. So I can only wonder the real reason was for that staff member reproaching Marny for her clothing. Maybe there's a Quaker movement going on in Constance, Germany the world has yet to hear about? Or maybe it was Pilgrim day at the gym? I don't know. Marny isn't the first woman in recent times who went viral for having their gym outfit shamed. Other gyms have taken women aside to chastise them about baring their midriffs for the sake of other gym members. Then there was the case of Instagrammer Louise Aubrey who shared an encounter she had with a fellow female fitness enthusiast about "acceptable" gym wear. Aubrey recalls working out with this woman who kept long sleeves on throughout the entirety of a grueling workout. Afterwards, in the locker room, she asked why she didn't peel her shirt off and exercise in her sports bra. The woman's response? She didn't feel "comfortable anymore since a guy told me I wanted to show off my body." Aubrey's post received a ton of likes, with commenters applauding her for sharing the message. Also, if you're a dude who's reading this and you think that a woman's outfit, especially in the gym, is an invitation for you to comment on her body, it's probably better to assume she's there for the same reason you are: to get a good workout.